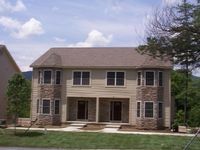 Property 10: Lake George Townhome w/Water View, Patio & Grill! Property 17: Townhome with 5 Bedroom 3.5 Baths. Sleeps upto 14. 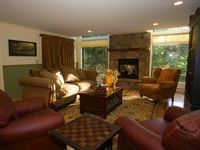 Property 18: Gore Mountain Ski Resort Adirondack Townhome-Indoor Pool, Sauna, and Game Room! Property 19: Million dollar view Lake George resort townhouse. Gore Mountain 3 BR Townhouse Sleeps 8. Property 25: Gore Mountain 3 BR Townhouse Sleeps 8. Property 32: Saratoga Racecourse!! Town house 3 blocks from downtown shops & restaurants! We had an awesome time at Joe's townhouse. The place itself was extremely homey - very clean and was the perfect layout for a group trip. House had all the basics that you need, even an airbed for add'l guests. I loved that the kitchen was open to the living room so folks could prep meals and still be entertaining friends and family. The location of the house was great - it's only about 20 mins from Gore, very easily accessible. Neighbors were close, but extremely quiet, we didn't see anyone the entire weekend. Joe was a great host - he was very communicative and helpful. He went above and beyond to make sure we had a great time and had everything we needed. Highly recommended!